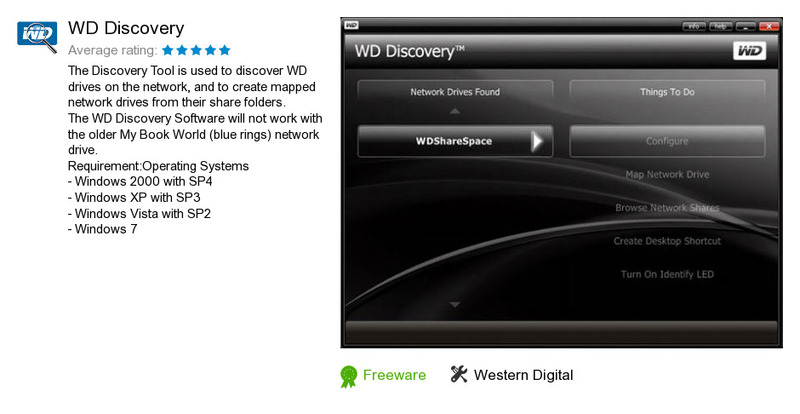 WD Discovery is an application developed by Western Digital. We know of version 1.8. Version 1.80.1035.3 is available for free download at our site. WD Discovery distributive has a size of 4,681,438 bytes. Western Digital also publishes WD Drive Manager and WD Livewire Utility.